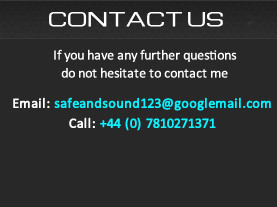 Experienced mastering engineer Barry Gardner presents SafeandSound Mastering, an analogue audio mastering service. 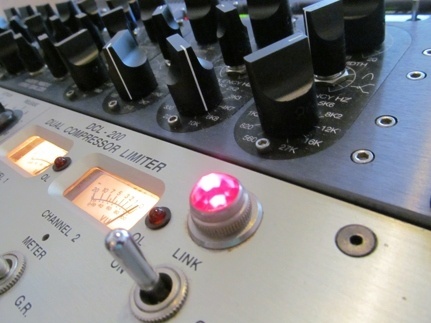 Using the finest analogue audio mastering equipment we are ready to improve, enhance and optimize your music for ideal translation across music systems, streaming services and online distribution websites. We provide professional high fidelity mastering using high end professional equipment to do the job, without compromise. As the sole audio mastering engineer I can master your music to .wav files (suitable for all loss-y compressed formats : MP3/AAC/Ogg Vorbis), Red Book CD-R and provide DDPi files (with MD5 check sum) and provide a convenient client DDP player. In addition 24 bit pre-masters, quality controlled and ready for presentation to vinyl lathe cutting engineers. Dedicated to audio mastering for 8 years. All music mastered by Barry Gardner (no assistants or other engineers) objective, mastering specific listening you can trust. High end analogue and digital mastering equipment (as shown on site) Manley, PMC IB1S, Summit, Crane Song (Solaris Quantum DAC), Benchmark. Clear, detailed communication and caring customer service. Upload files using www.wetransfer.com, please read the FAQ page to avoid delays or contact Barry Gardner directly using email : safeandsound123atgooglemail.com (“at” being @) or phone on 0044(0)7810 271371. Audio mastering is a specialist form of audio engineering which uses very carefully selected tools to adjust music tracks in sympathy to genre, optimal technical (translation) results, musicality, intended purposes and client goals. It requires a unique way of listening and responding to music which is often considered as mysterious by many. It is true that audio mastering is a blend of both artistic and technical skill however it is often thought to be esoteric and shrouded in mystery and secrecy. My own explanation of audio mastering is that it is a synergy of numerous factors. These include long term professional audio engineering and listening experience, the often under estimated objectivity of fresh and well trained ears, an accurate, familiar and high resolution monitoring system and room. (DAC/amplification/loudspeakers/acoustics) In addition, high end analogue equipment, precise software tools and ultimately results that are greater than merely the sum of the above parts. Once you have a foundation of unrelenting quality built into the systems of audio mastering a knowledgeable mastering engineer can respond to what is revealed in the depths of a music mix through exceptional monitoring. With detailed knowledge of the analogue equipment being used the engineer can apply the primary functions of the equipment such as tonal change (equalization) or dynamic adjustments (compression/expansion) to music to enhance and correct perceived inadequacies. In order to be able to do this reliably, consistently and with confidence the monitoring systems must be the best available. No compromise DAC (digital to analogue conversion), power amplification and loudspeakers in a customized and specially treated room. Ideally, as it has been in this room for 7 years the set up should not be changed so the engineer can have an absolute reference having listened to thousands of music releases. In addition specifically chosen high end analogue equipment has secondary characters that are over and above the designed purposes of mere equalization and compression. These secondary characteristics can relate to the euphony/excitation from valve circuits, stereo width enhancement, generation of harmonics, warmth, depth and density of the sound. At SafeandSound Mastering the equipment has been carefully chosen by myself to be able to impart these desirable characters which are not currently possible to emulate digitally with 100pct success. It is this organic and interdependent chain of processing which adds up to improved sonic presentation over and above digital audio mastering alone. Musically sympathetic spacing on a multi-track release such as an EP or Album is very important. Consideration for the correct spacing allows pause for reflection or the ability to enhance the musical communication that a multi-song release intends. Again fades can also have a bearing on musical effect and intent. Sub code information can be embedded within release medium during mastering. This can include ISRC codes, track names, artist names. Broadcast .wav files and MP3 files can have ISRC codes inserted in specific fields (as can be the case for CD mastering) to ensure that the track has a unique identifying code. Whilst tonal translation to reproduction systems and online distribution formats remains a consistent goal a clients project goals often differ. This can be dependent on musical genre, demo purposes, commissioning rounds, library music, release for sale, use in video or film or if the music is destined for release and must sit with high perceived volume releases. 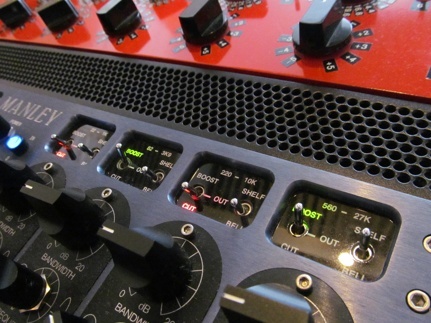 Mastering is a bespoke service and a good mastering engineer will intimately understand this. I understand the need for clear communications and as such each project that passes through the studio will be treated as a unique entity. In many instances 1 master will suit multiple purposes and in some instances multiple versions may best suit different goals. This requires in depth knowledge about how tracks will sound depending on purpose, this knowledge can be tailored into the mastering job. As well all of the above mastering includes meticulous checking of the audio for defects before it is released. Every track that is sent out here is listened to by myself using high end Beyerdynamic headphones and an audiophile grade headphone amplifier, by myself.